Workplace by Facebook provides a powerful enterprise collaboration service. The concept of an online, digital workplace is great, it’s the ”by Facebook” part that’s become problematic. Workplace by Facebook (formerly known as Facebook at Work) provides a stream of enterprise-specific, conversational shared content. The application lives among our industry categories of Workstream Collaboration (or Team Collaboration), Team Chat, and Enterprise Social Networks. Familiarity -- Social networking started as a consumer application. Facebook’s brand and UI offer a familiar experience due to the popularity of the parent’s consumer social network. This facilitates adoption. Intellectual Property -- Facebook has an arsenal of related intellectual property including messaging, AI, video, and mobility. 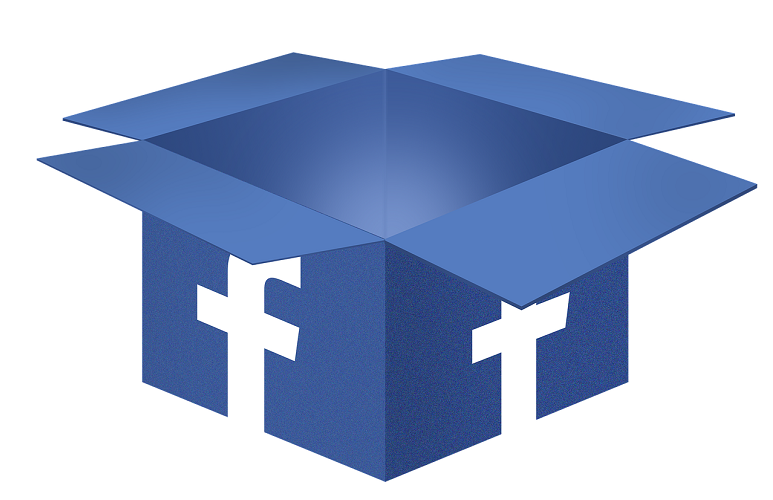 Opportunity -- For Facebook, the enterprise represents a new, incremental opportunity, rather than displaced revenue. Capital -- Facebook is one of the largest and most powerful software companies on the planet. These attributes have given Workplace by Facebook some momentum. The company has largely built for consumers, what many competing providers are creating for the enterprise — not just the application, but the associated global infrastructure as well. Incremental revenue means it can afford to offer services at a very low monthly rate, and familiarity reduces implementation and training costs. Workplace by Facebook, with a nascent enterprise sales force, has been able to land some impressive household names as customers, including Walmart, Starbucks, and Campbell’s. It has done particularly well in organizations with a high percentage of mobile and deskless workers. However, a lot has changed in the past few months. Facebook is embroiled in several controversies that have resulted in its founder/CEO/Chairman Mark Zuckerberg being summoned to testify before Congress, a stark decline in share price, a #DeleteFacebook movement, and more. On top of this, earlier this fall, Facebook reported its largest security breach ever. Enterprises tend to value the trust that comes with brand names, but Facebook has become politically charged. It seems as though Workplace’s association with Facebook is changing from asset to liability. Just last month, Workplace announced plans to drop the “Facebook” from its URL (work.facebook.com becomes workplace.com). The issue is not technical. Facebook’s technical capabilities and intellectual property are a strong fit for enterprise collaboration. The issue is trust. These applications are most effective when employees are able to confidently converse and share ideas, suggestions, and concerns. A solution that imposes too many restrictions on what can and cannot be said limits its versatility and effectiveness as an enterprise collaboration tool. In fact, Workplace has been using security as a competitive differentiator. Its promotional materials claim that Facebook is "serious about security” and exceeds “the industry standard for protecting your data." Unfortunately, that claim was weakened last September when Facebook reported its largest breach in its 14-year history. The attackers exploited a feature to gain access and take over user accounts. Two of the three bugs reported were introduced by an online tool meant to improve privacy. The third was introduced more than a year earlier with a tool designed to facilitate uploads of birthday videos. Workplace has been very clear that it is not Facebook. Its revenue model is fee-based, and there is no advertising. The breach and other recent concerns have been around the consumer social network, not Workplace. While the platforms are separate, trust is not so easily containerized. Facebook’s public trust has been declining for several years. The company was outed for abusing its trust when it shared personal data with third parties, particularly Cambridge Analytica. Facebook unwittingly hosted Russian-backed efforts to undermine the 2016 elections. U.N. investigators concluded that Facebook played a “determining role” in fomenting genocidal attacks in Myanmar. Hate speech on Facebook incited murderous mobs in Sri Lanka. Throughout most of this, Facebook presented itself as a victim of its own success, and stressed that it was taking steps to identify bad actors and restore trust. This month, we learned that Facebook knew more and did less than it suggested. The New York Times reported that Facebook knew about Russian interference much earlier than initially stated, and worked to cover up its internal findings. We also learned that it hired a public relations firm to negatively portray Google, Apple, George Soros, and other Facebook detractors. Facebook’s response was rapid denial, claiming the Times report was full of “inaccuracies.” Facebook COO Sheryl Sandberg claimed that she was unaware that Facebook hired a PR firm to undermine its critics. “I did not know we hired them or about the work they were doing,” Sandberg said, referring its arrangement with Definers PR firm. This changed a week later, when Sandberg posted on Thanksgiving that she was aware of the PR firm’s efforts. These are not behaviors that instill trust. Workplace was originally launched as Facebook at Work, later evolving to its current name, Workplace by Facebook, which still leverages the brand equity of its parent company. This poses a real challenge now as enterprises tend to avoid controversial solutions for their infrastructure. Certainly, enterprise software has become much more political this year. There were protests at Google over China and the handling of sexual harassment. Both Microsoft and Amazon had protests over immigration. However, the situation with Facebook is different. It’s bigger and more personal because so many people personally use the social app on a daily basis, and of course many take the election and government very personally. The issue here isn’t a disagreement about a policy, but trust. Trust is absolutely critical in workstream collaboration. The conversations, content, and relationships within these apps can reveal a lot. Confidentiality is the reason many organizations remain unwilling to adopt a cloud-delivered collaboration solution. Workplace has been fairly quiet, but it hosted its first customer event last month where it featured customer wins and made several announcements. After that event, my expectation was the time had arrived for Workplace to turn up the marketing. But now I think perhaps not. It will be interesting to see how Workplace navigates these controversies and works to build trust. All Roads Lead to Team Collaboration -- You Ready? Your decision on tool choice needs to account for the baseline capabilities plus so much more, as UC analyst Diane Myers shares in our No Jitter On Air podcast.